Summary: A new study opens the door for new treatments to help treat obesity and other eating disorders. Source: Baylor College of Medicine. A small group of brain cells moderates whether an individual is hungry or full. In mouse studies, when these cells are impaired, the animal eats constantly and becomes obese. On the other hand, when the cells enhance their activity, the mice eat little and lose weight. The study, published today in Nature by researchers from Baylor College of Medicine, Texas Children’s Hospital and the University of Texas Health Science Center in Houston, opens the possibility of developing drugs to help treat obesity, a major health problem around the world, as well as other eating disorders. “How the brain controls appetite has been mostly focused on the hypothalamus,” said senior author Dr. Benjamin Arenkiel, an associate professor of molecular and human genetics and of neuroscience at Baylor. The hypothalamus is a brain region involved in a variety of bodily functions, such as temperature regulation, control of food and water intake, sexual behavior and reproduction and mediation of emotional responses. “In addition, acetylcholine, a modulator of brain activity, has been proposed to play a role in appetite control, but this role had not been explored until now,” said Arenkiel, who is also a McNair Scholar at Baylor and an investigator at the Jan and Dan Duncan Neurological Research Institute at Texas Children’s Hospital. Arenkiel and colleagues studied the basal forebrain, which has brain cells that produce acetylcholine. To determine whether acetylcholine helps control the appetite in mice, the researchers made genetic modifications that killed only the cells in the basal forebrain that produce acetylcholine. The hypothalamus is a brain region involved in a variety of bodily functions, such as temperature regulation, control of food and water intake, sexual behavior and reproduction and mediation of emotional responses. NeuroscienceNews.com image is for illustrative purposes. Credit: BruceBlaus. Other authors that contributed to this work include Alexander M. Herman, Joshua Ortiz-Guzmán, Mikhail Kochukov, Isabella Herman, Katie Quast, Jay M. Patel, Burak Tepe, Jeffrey C. Carlson, Kevin Ung, Jennifer Selever and Qingchun Tong. 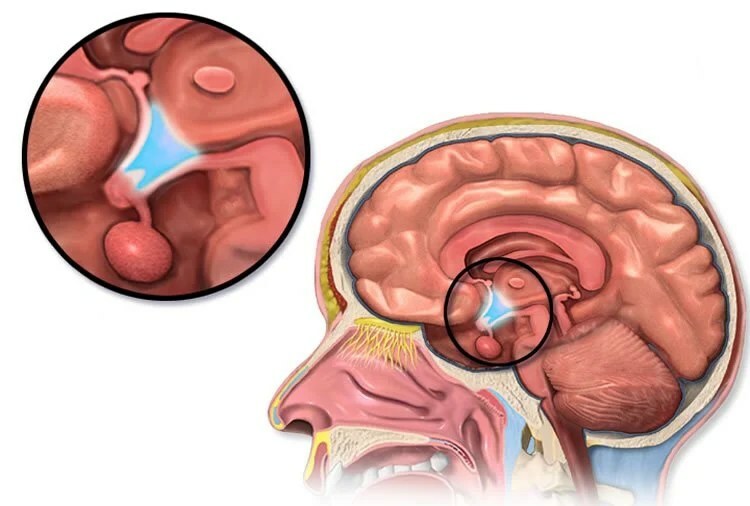 Image Source: This NeuroscienceNews.com image is credited to BruceBlaus and is licensed CC BY 3.0. Baylor College of Medicine. “Basal Forebrain Linked to Appetite Control and Nicotine Addiction.” NeuroscienceNews. NeuroscienceNews, 3 October 2016. Baylor College of Medicine. “Basal Forebrain Linked to Appetite Control and Nicotine Addiction.” http://neurosciencenews.com/hunger-basal-forebrain-nicotine-5190/ (accessed October 3, 2016). Atypical food intake is a primary cause of obesity and other eating and metabolic disorders. Insight into the neural control of feeding has previously focused mainly on signalling mechanisms associated with the hypothalamus the major centre in the brain that regulates body weight homeostasis. However, roles of non-canonical central nervous system signalling mechanisms in regulating feeding behaviour have been largely uncharacterized. Acetylcholine has long been proposed to influence feeding owing in part to the functional similarity between acetylcholine and nicotine, a known appetite suppressant. Nicotine is an exogenous agonist for acetylcholine receptors, suggesting that endogenous cholinergic signalling may play a part in normal physiological regulation of feeding. However, it remains unclear how cholinergic neurons in the brain regulate food intake. Here we report that cholinergic neurons of the mouse basal forebrain potently influence food intake and body weight. Impairment of cholinergic signalling increases food intake and results in severe obesity, whereas enhanced cholinergic signalling decreases food consumption. We found that cholinergic circuits modulate appetite suppression on downstream targets in the hypothalamus. Together our data reveal the cholinergic basal forebrain as a major modulatory centre underlying feeding behaviour.